The Wilson Staff D200 is one of the hybrids on the Golf Digest hot-list for 2015. The key piece of engineering in the Staff D200 is what they call a “progressive head design” which in technical terms is a thin, Carpenter Custom 455 maraging steel face insert that improves ball speeds on mis-hits. The Wilson Staff D200 hybrid has the look of an attractive, understated, traditional club. At address it has a matt black crown. The stainless steel head increases balls speeds and gives a little more power at impact. The face area is larger near the toe for greater forgiveness on off-centre hits. The stronger the loft, the greater the head size and face curvature. 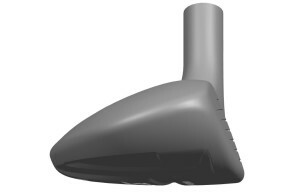 The increased head size creates more forgiveness and the face curvature affects the gear effect on shots across the face. The chrome graphite shaft looks like old-school steel. At impact, the Wilson Staff D200 hybrid gives a good solid metallic crack. The impact is clean, crisp and communicative. The club feels very solid at impact and off-centre shots are very forgiving. It is responsive so you know where you hit the ball on the face, and mis-hits don’t cause your hands to feel punished. The D200 hybrid is reasonably light thanks to a 54 gram UST Elements Chrome shaft. The Right Light Technology, achieved through optimizing the distribution of the hybrid’s limited available mass with a thin variable face, allows golfers to swing even faster with the same effort. The Wilson Staff D200 hybrid is a consistent and simple club that truly accomplishes the intended goal of making longer approaches easy. A moderately low natural trajectory holds straight and steady through windy conditions. The D200 also helps you out of difficult lies. It’s a rare hybrid in that it allows stronger player to manoeuvre shots in both directions with some ease. The D200 hybrid is consistent with shots hugging the line and holding the green. Minor mis-hits are hidden well. The shots are straight with little side-spin and no significant draw bias. The distances are good, but there are longer distance hybrids on the market. 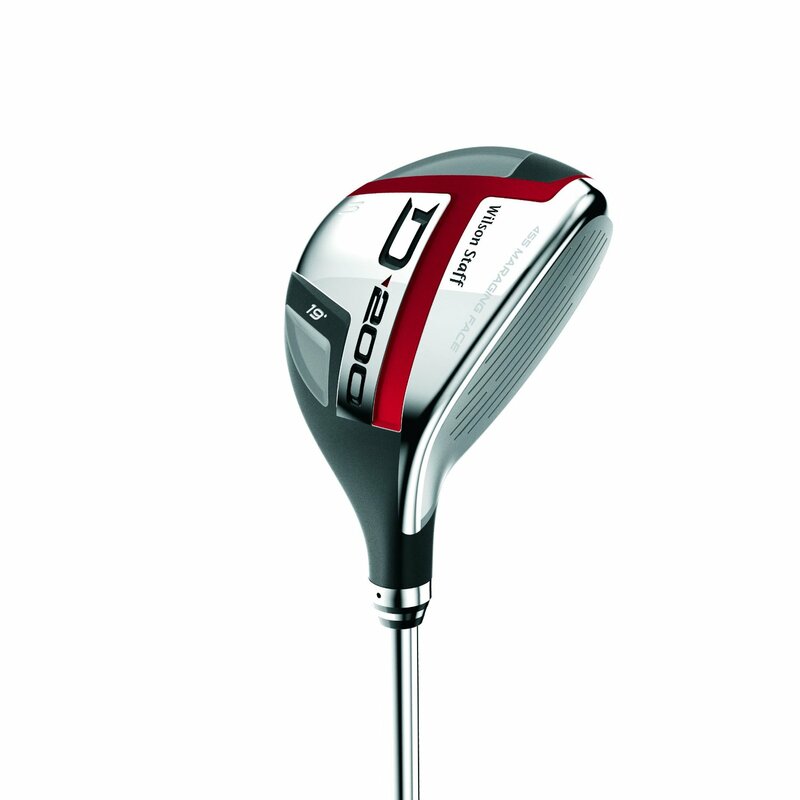 The D200 is a dependable hybrid that can replace your long irons. It holds its own with other hybrids in the market and even surpass some. If you have a mid-range handicap and looking for a wood style hybrid to replace those longer irons, then the Wilson D200 is right in your sights. For a quality name, head, shaft and grip this is one of the best value hybrids for those on a budget. Buy Wilson Staff D200 now!